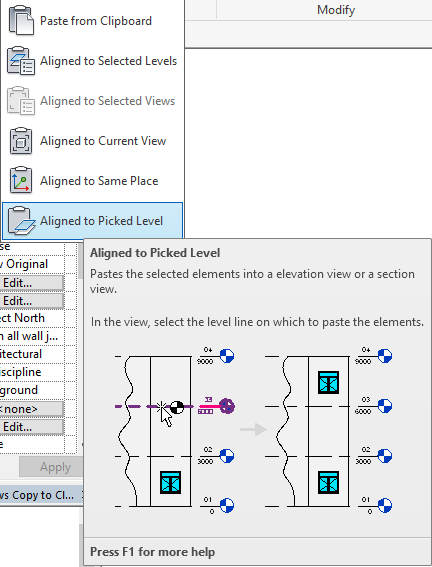 Revit has two different ways to copy elements: Copy and Copy to Clipboard. In this picture, I selected 3 desks and copied them to the far side of one. Suppose you have the perfect arrangement of desks, or office layout or even furniture in an apartment building. 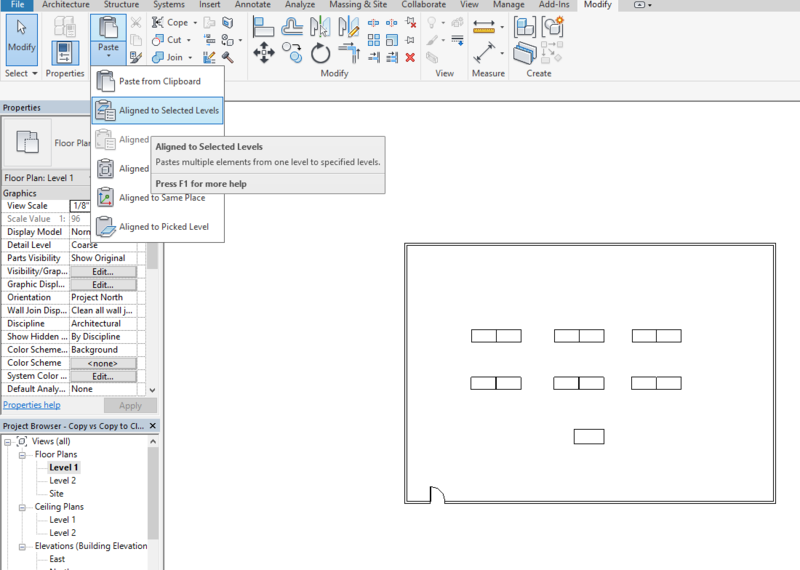 You wouldn’t want to have to recreate all the floor plans for each floor. 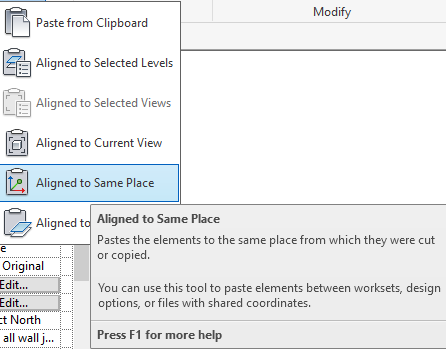 That’s where Copy to Clipboard comes in handy – to Copy to other views, models or other floors in the same model. Depending on how much is being copied this could take some time. 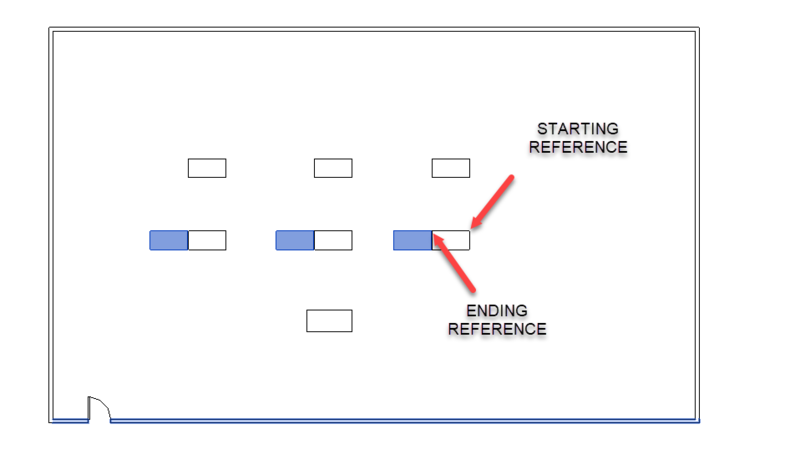 All the objects on the Clipboard are copied in the same position to the floors selected. 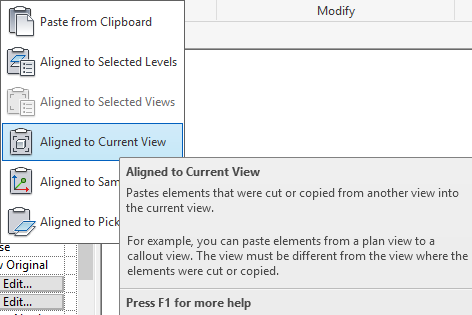 The elements stay on your Clipboard until you select others to replace them.